Whitland is a small market town on the Carmarthenshire/Pembrokeshire border and has an important place in the history of Wales. During the first half of the tenth century, according to tradition Hywel Dda "King of all Wales", summoned representatives from all over Wales to an assembly at Whitland in order to codify laws. There is also the ruins of the Cistercian Abbey outside the towns. In its heyday Whitland Railway Station was a busy place. The town continues to have good road and rail links to all parts of the UK. An unique and historic building and yet of a modern design. An award wining Centre, set alongside a tranquil garden. The place is an ideal venue for meetings and exhibitions, as well as school and college visits. It is recognised as a centre for small businesses to hold conference and training days, with broadband and WiFi facilities available. Hire charge depends on whether the centre is hired by a local voluntary organisation, business, regular classes, single day etc. Broadband and WiFi facilities throughout, whiteboard, screen, O.H.P (projector), flip chart, photocopying, display stands. 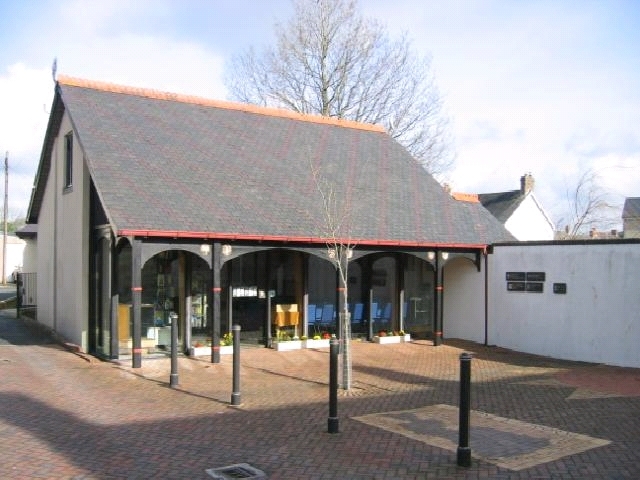 The centre is currently used for CCC community education courses - two Welsh for beginners course, computers for beginners. Local organisations monthly meetings: Merched y Wawr, C.Y.D. group, Plaid Cymru, Bible group study. Local group meetings (ad hoc): Parc Dr.Owen Management Committee, Primary School inset day, Governors meeting, training courses organised by Gallu, Gyrfa Cymru. Summer Art and Ceramics Exhibition.